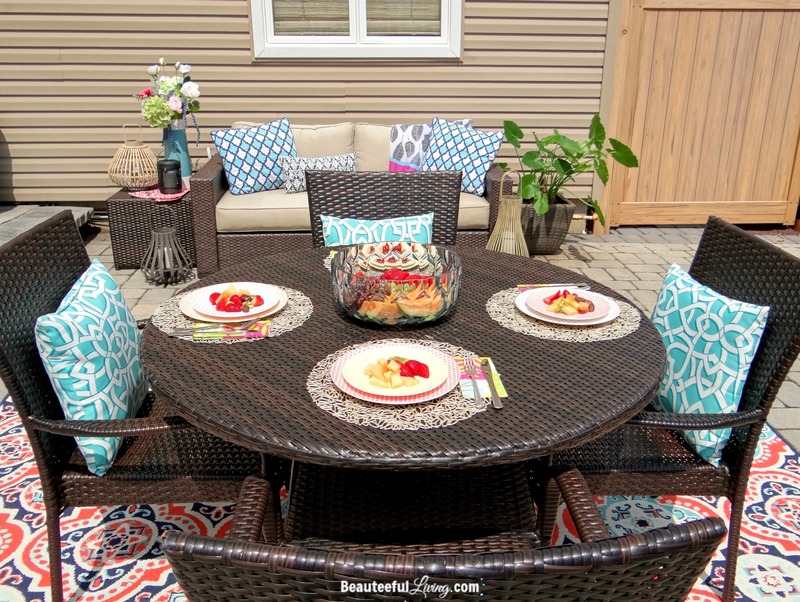 With Memorial Day weekend approaching at the end of the week, the beginning of “outdoor hosting” season has begun! 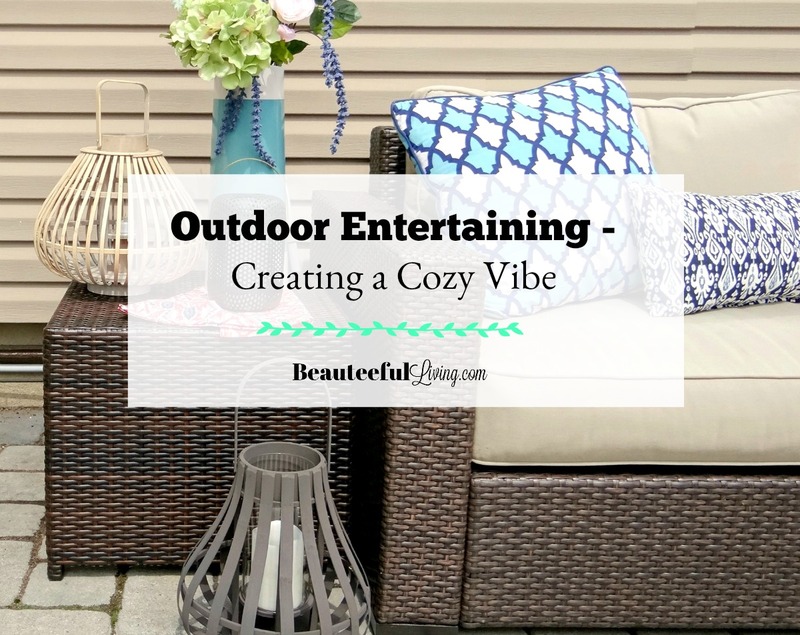 On the blog today, I’m sharing some ways you can create a cozy vibe to your outdoor entertaining space. This post is sponsored by Amara where many of today’s decor items have been sourced. Thank you for supporting brands that make Beauteeful Living possible. Affiliate links are also provided in post. See disclosure here. 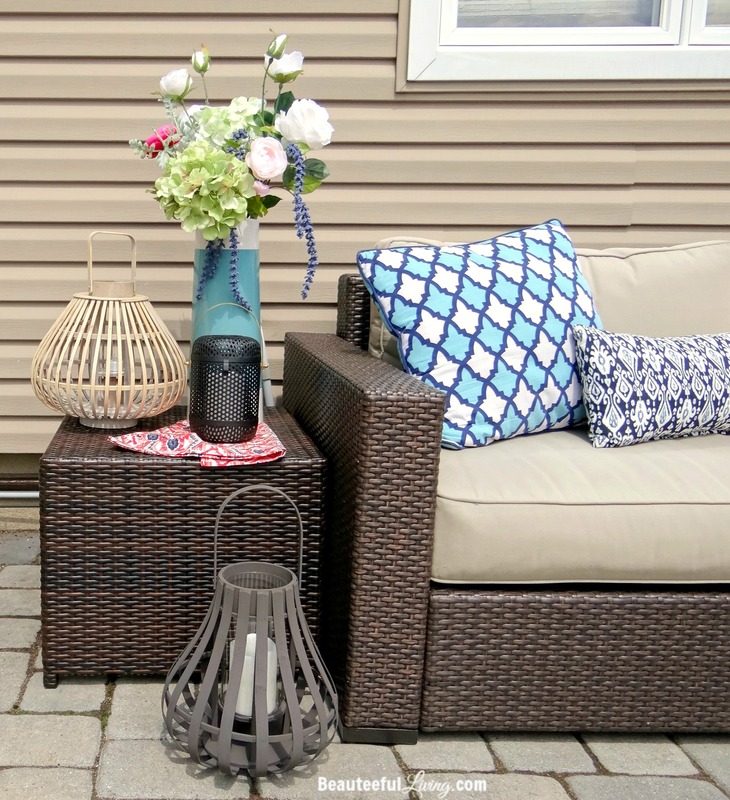 One of the easiest ways to create a cozy vibe in your outdoor living area is to incorporate lanterns into your decor. I’m loving the selection of lanterns from Amara’s website. You can tell the quality of craftsmanship by how well structured the bamboo lanterns are woven and the weightiness of that black metal lantern. If this is the first time you’ve heard of the luxury brand, Amara, I highly suggest you review their incredible assortment of home and lifestyle products. 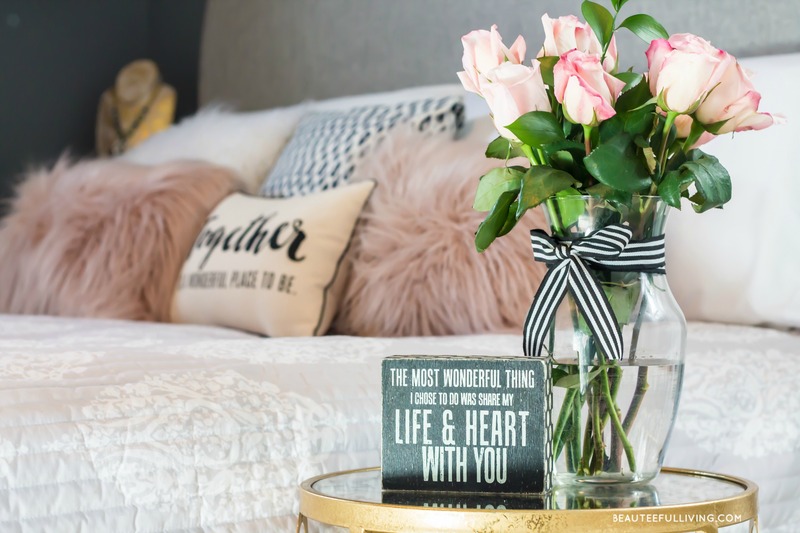 Some of your favorite fashion brands have home decor lines featured on their website! You can make outdoor seating extra cozy by throwing in some decor and accents that you would normally have indoors. Are you loving that large tan lantern as much as I do? It’s just the right height where you can place next to an outdoor sofa and have it still stand out. What’s better than a cozy conversation area in your patio? How about a dining area right near it? 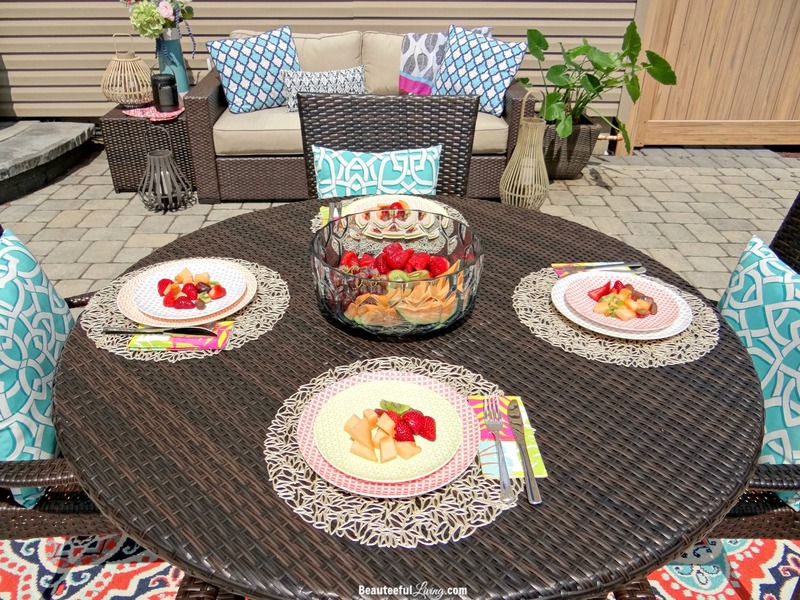 I dressed up our existing patio dining set with some lovely outdoor dining ware from Amara. 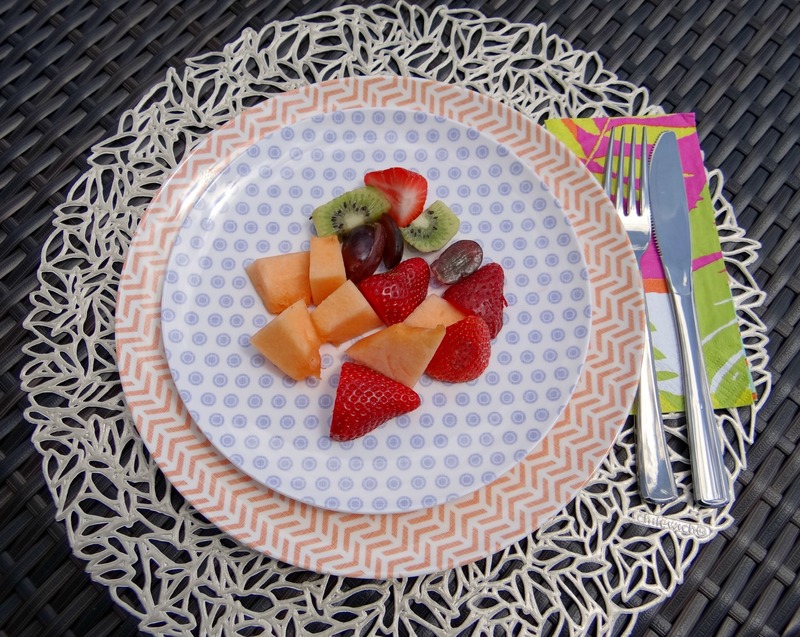 Fruit salad looks extra pretty and decadent when served on these stylish melamine plates. I love those patterns! These plates look great over the petal-like vinyl placemats. 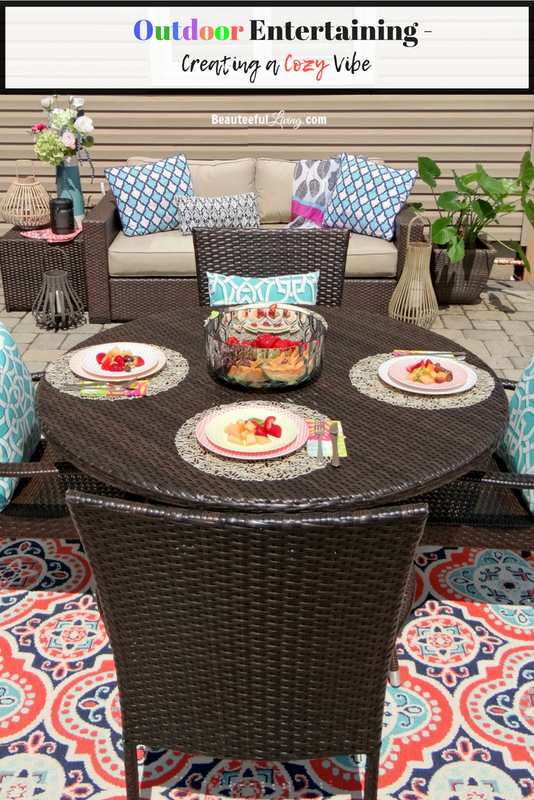 One more look at our patio decorated with the lovely products from Amara. 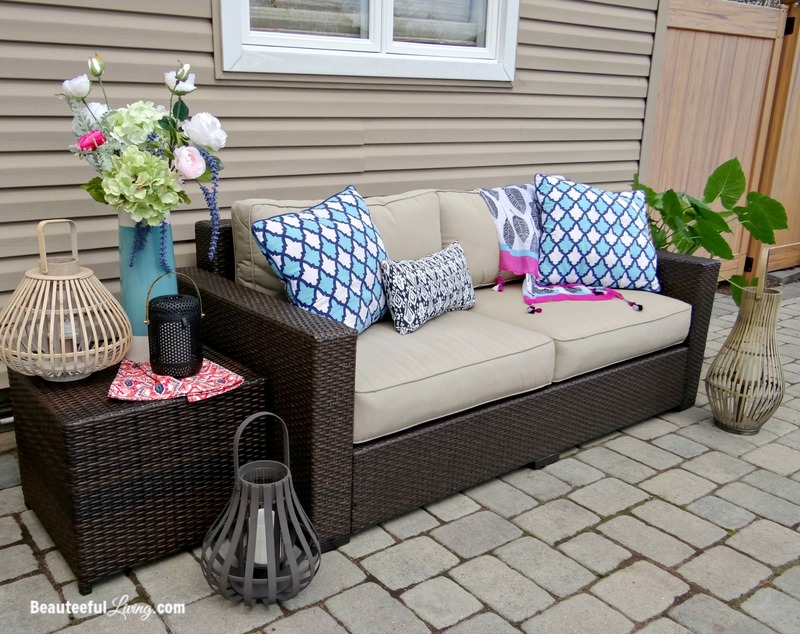 Remember, you can easily create a cozy outdoor entertaining area simply by incorporating lanterns and indoor textiles like pillows and throws! We’re having family and friends from New York over to celebrate Memorial Day with us this weekend. Fortunately, the weather looks to be sunny and warm for our pool party! I hope you all have a lovely time hanging out with your favorite people this holiday weekend! OMG! This looks absolutely beautiful!! I specially loved the lanterns and your color scheme is just awesome! Beautiful ! I love your setup. I still have to tackle getting my outdoor area set up. However, we’ve been getting so much rain lately that I have pushed it down my list until the weather gets better. This is really pretty. I have a very little patio to work with but I am trying to get it cozy. So pretty!!! where is the rug from? Thanks so much, Ellen! The rug was purchased last summer at Home Goods. I searched on Home Goods, but can’t find this one. Can you please share me the purchased link amazon will be fine for me. Hi Merry, I just emailed you my response. I don’t have direct link to the rug since it was purchased in store (plus it was from last year) but I sent you 3 similar rugs that I located online. Hope that helps! Wish it was still available this year. By the way, my rug is slightly bigger than 6′ x 9′. Oh my goodness your set up is absolutely gorgeous!! Loving all of it but those silk flowers and the lanterns really caught my eye. I love your color scheme too! Beautiful! We have outdoor furniture that looks almost exactly like that! I love it! It makes it for such a comfy outdoor area! I am so sad I don’t currently have outdoor space of my own because I love this set-up! Eating dinner on the patio in the summer is my favorite! Thanks for your comment! Outdoor dining is the best when the weather allows. 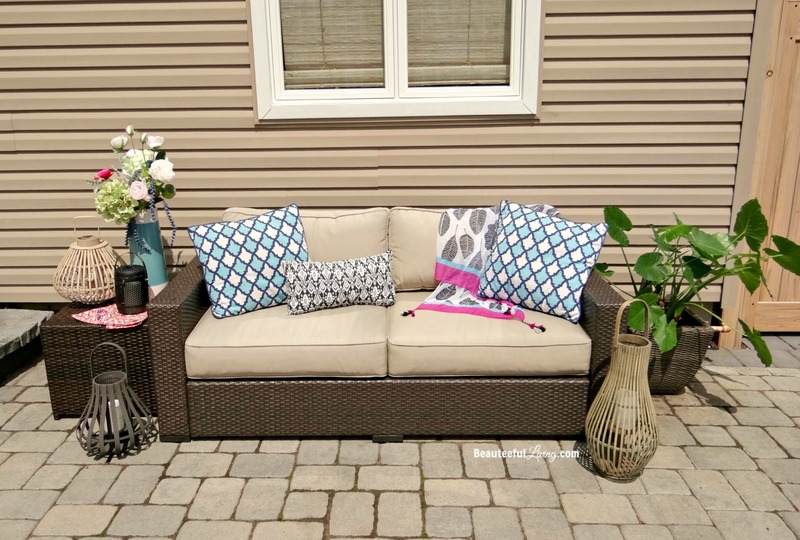 I have outdoor furniture that is very similar to yours and I love it. We have a very large deck with different areas for entertaining, but we usually end up eating outdoors due to the nuisance of the mosquitoes in my area. I love the idea of fresh flowers in a vase, I have never thought to use those for decor. 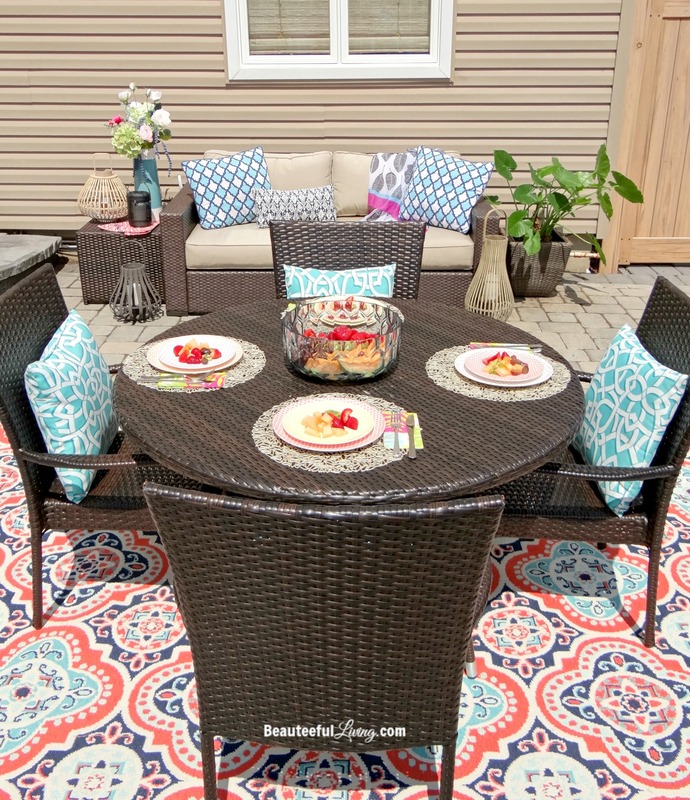 This post is giving so many ideas for my patio makeover. We have a small patio so it won’t take too much to make it cozy. Ha. I especially love the salad bowl and those pastel plates. Thanks, Lynn! I’m glad this post gave you some good ideas. 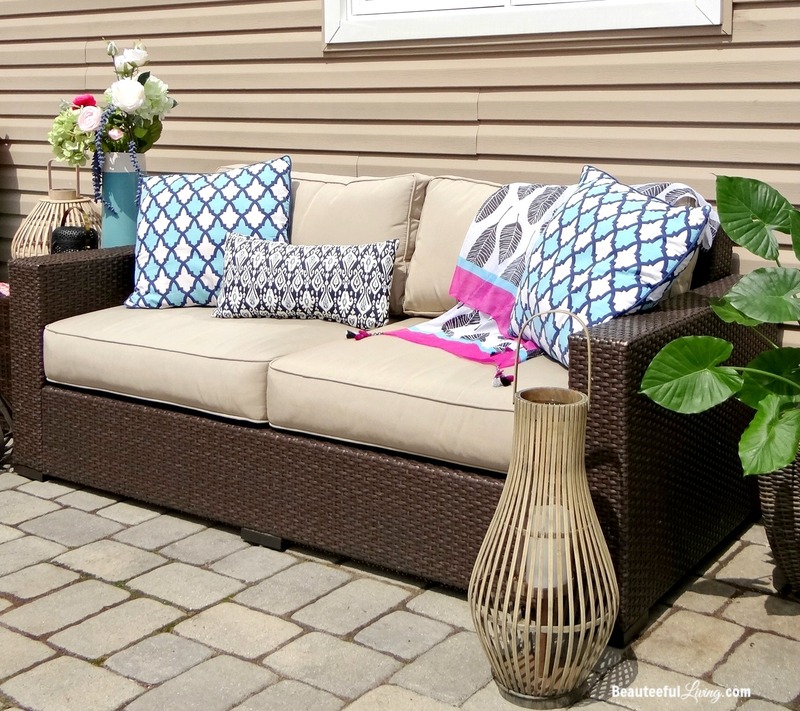 Good luck on your patio makeover! Wow, I love those lanterns! Such a fun and bright tablescape as well. Those pillows on the sofa look like outdoor pillows. Love this cozy and inviting space for a backyard gathering. Thanks for sharing! Thanks so much Jen! Those lanterns were some of my favorites too! Hope you have a wonderful Memorial Day weekend coming up!